The Sealy Posturepedic Response Performance Mountain Ridge IV Plush Euro Top Mattress is an affordable option that has numerous beneficial features, especially for the low price point. Scoring a rating of 5.5 on our Comfort Scale, this model offers a supportive yet adaptive feel that provides a balanced combination of comfort and support. 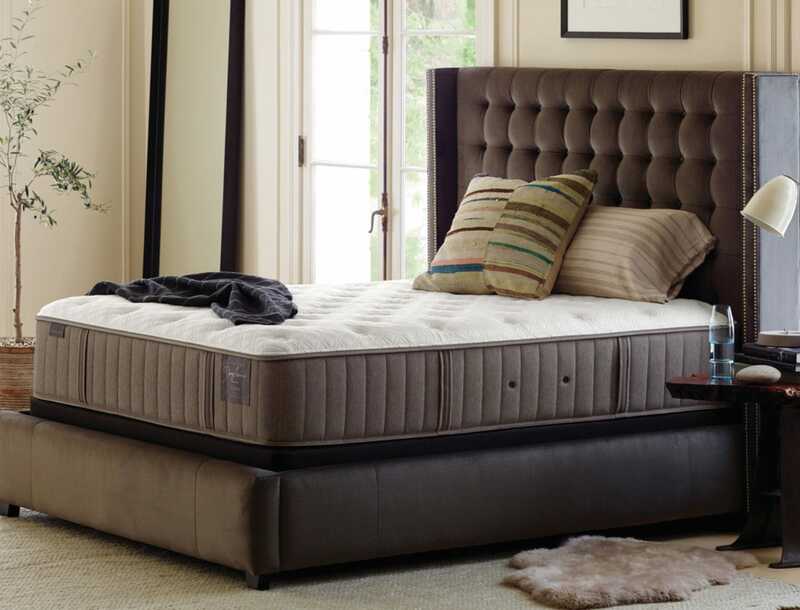 The Mountain Ridge IV Plush Euro Top Mattress consists of numerous updates from the previous generation that make it an even more amazing value than it was before. Incorporating top-of-the-line Posturepedic technology, this model has a reinforced center third complete with SealyCool Gel Foam that supplies more support to the lower back plus a boost in durability. 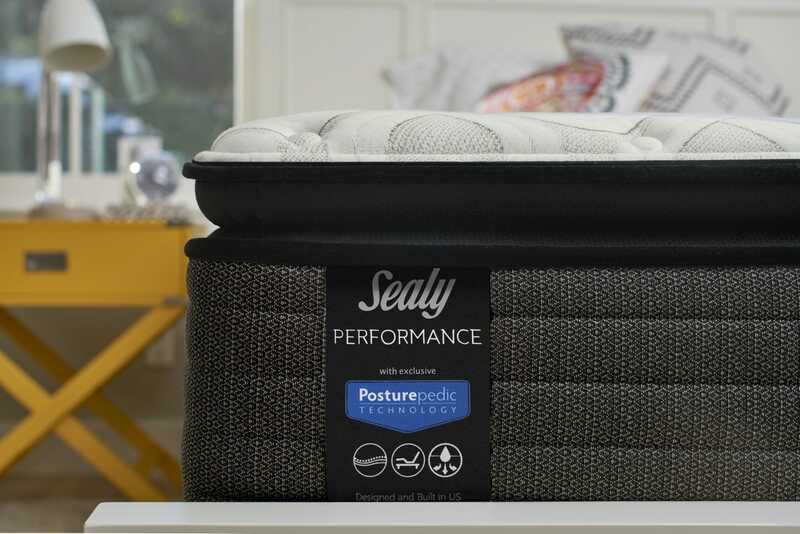 The Sealy Cushion Air Foam layer increases initial body contouring to help prevent tossing and turning while promoting airflow, and the layer of SealyCushion Extra Soft Foam delivers deep down pressure relief. Each of the comfort foams used to create the Mountain Ridge are CertiPUR-US certified. The Sealy Response Pro Encased Coil System ensures deep down support, and it offers a more conforming, gentle feel than other coil systems. Its individually-wrapped design helps minimize transfer of motion, so if a partner or a pet gets in or out of bed you will remain relatively undisturbed. The DuraFlex Edge is a big step forward in edge support technology since it utilizes heavy duty coils to ensure you're not only feeling consistent comfort across the entire surface, but also receiving sturdy support. All in all, the Sealy Posturepedic Response Performance Mountain Ridge IV Plush Euro Top Mattress is a great mattress across the board. Whether you're shopping for your master bedroom or a spare guest room, this mattress is expertly designed to provide balanced comfort and support well into the next 10 years. 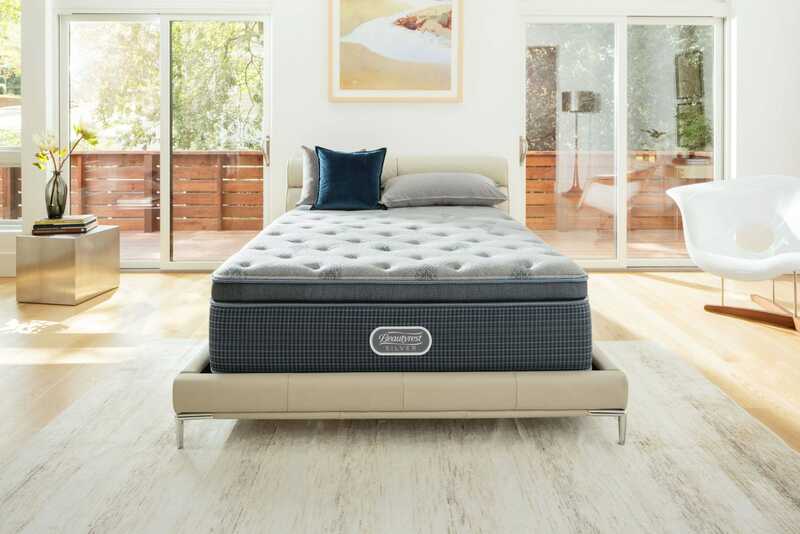 The Tempurpedic Flex Supreme Breeze is an impressive all-around hybrid mattress that offers the cooling of the Breeze material in the quilt, the comfort of TEMPUR materials, and the support of a quality innerspring. With a rating of 6.5 on our Comfort Scale, the Flex Supreme Breeze is incredibly versatile and an excellent choice for side, back, or stomach sleepers. Its several noteworthy features start right with the quilt. A phase-change cooling material known as “Breeze” has been carefully infused into the fabric of the quilt. To say this material feels cool is an understatement. When compared with other mattresses without Breeze technology, this fabric is incredibly cool to the touch. It works so wonderfully well that you can feel its cool comfort even when fully clothed. As such, you are sure to benefit from the cooling properties of this mattress if you tend to sleep warm. It is without a doubt among the top thermal management systems on the market today. Beneath the quilt there is a two-inch layer of TEMPUR-ES. This high grade comfort component offers a soft initial feel and contours to the body to prevent tossing and turning. The TEMPUR-Response layer creates firm underlying support alongside the 6-inch dynamic support layer. To summarize, the Tempurpedic Flex Supreme Breeze is one of the best choices our site has to offer in the hybrid mattress category. Its blend of cooling properties, quality craftsmanship, and supportive comfort makes it suitable for many years of sleep for those who enjoy a medium-soft comfort level. The Stearns & Foster Estate Addison Grace Luxury Firm features several significant upgrades from the previous model. Though it is an entry-level model, it comes filled with numerous features. With a Comfort Scale rating of 3, this mattress has a firm overall feel with enough padding to avoid feeling hard. It is a great option for those who prefer a firm feel and want some padding for lower back contouring. The Addison Grace's quilt features silk, wool, and cashmere, creating a soft sleeping surface that also helps regulate body temperature. Beneath the quilt, two layers of PrimaSense Gel Foam provide pressure relief in the top portion of the mattress. An added layer of PrimaSense HD Gel Foam has a higher density to achieve the more solid overall feel. The PrimaCore Gel Foam center is expertly designed to reinforce lower back support and enhance long-term durability. Further back support is supplied by the Intellicoil Advanced System, which uses a two-stage coil to ensure both contouring and support are covered. This individually wrapped coil system is exceptionally good at both contouring and reducing motion transfer, which makes it especially nice for couples. The Precision Edge System features extra thick coils at the edges that will prevent roll-off and help maintain consistent support all the way from one edge to the next. In summary, if you’re searching for an affordable way to enjoy the benefits of a Stearns & Foster and you like a firm comfort, then the Stearns & Foster Estate Addison Grace Luxury Firm is an excellent option. 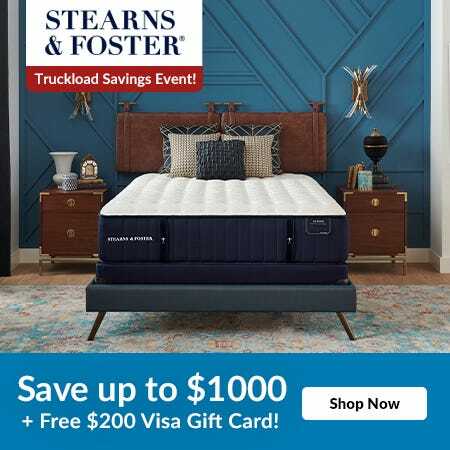 Solid support and a comfort life of around 10 years make this mattress one of the better values to be found from the Stearns & Foster collection. 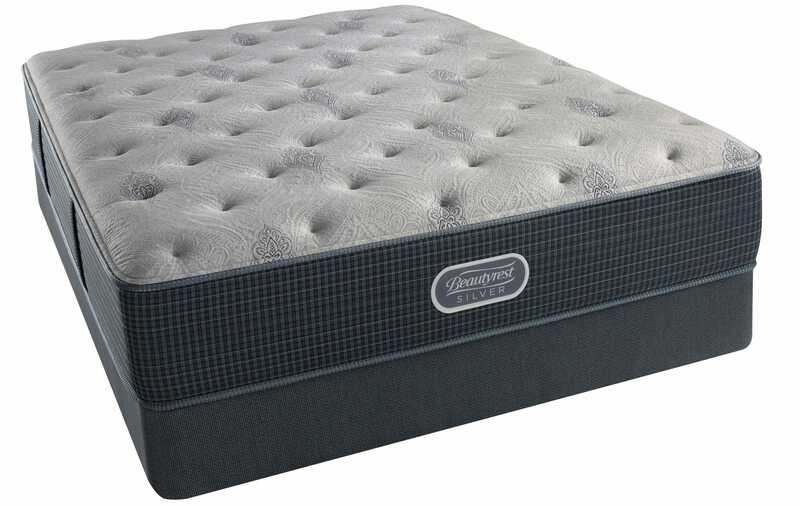 An improved version of an already amazing model, the Simmons Beautyrest Silver Lydia Manor III Luxury Firm Pillow Top scores a firm Comfort Scale rating of 3. This makes it an excellent option for back or stomach sleepers who prefer some initial padding with solid underlying support. Upgrades from the previous model start right with the quilt, which features the new DualCool Technology Fiber. This is a super soft fiber enhanced with silver, which helps move heat away from the body and prevents mold, mildew, and odor-causing bacteria for a cooler and fresher sleeping environment. A layer of AirCool Foam uses an expertly engineered channeled surface design to encourage airflow throughout the mattress while closely contouring to the curves of the body. Over three inches of Comfort Foam is included to ensure a firm comfort level while still contouring well to the lower back. Another new feature is a layer of GelTouch. This is a soft gel foam that supplies soothing comfort with excellent surface contouring and conformability. This multi-purpose gel also promotes deeper REM sleep and improved blood circulation. Another improvement is the support system. The BackCare Support Coil System is made up of hundreds of micro coils that work together to reinforce the center third. A full layer of AirCool Gel Memory Foam adds pressure relief that prevents tossing and turning, and it also helps minimize transfer of motion when there is movement. Essential back support is delivered by individually pocketed coils that make up the Beautyrest Pocketed Coil System. A 4-inch foam-encased, ventilated edge support system boosts airflow while keeping comfort uniform across the entire surface. 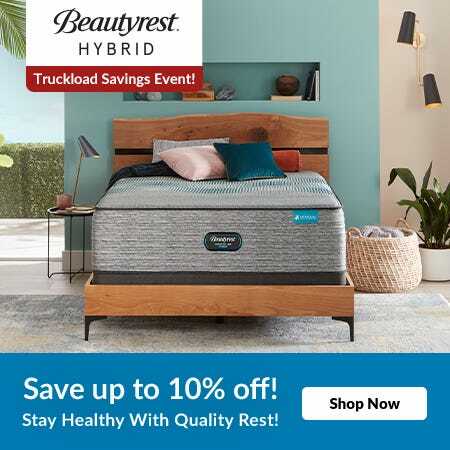 In conclusion, if you are on the lookout for a firm mattress with a bit of softness op top, then the Beautyrest Silver Lydia Manor III Luxury Firm Pillow Top is sure to be a perfect fit. With so many improvements put into one model, there’s no doubt that this newly revamped version deserves its spot on this list. 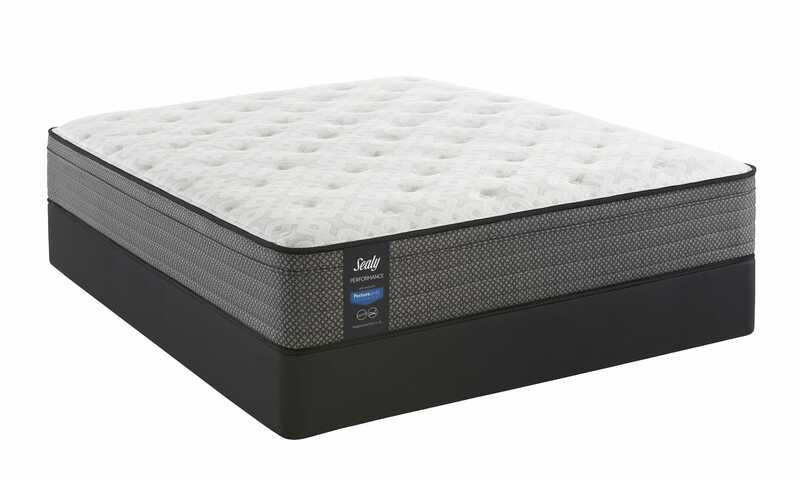 Soft yet supportive, the Sealy Posturepedic Response Performance Cooper Mountain IV Plush Pillow Top Mattress is perfect for side sleepers in need of pressure relief. The previous generation was among the most popular mattresses on our site, and this newly upgraded version is even better. Scoring a 7 on our Comfort Scale, this model has a soft initial feel accompanied by firm underlying support. Specially designed to wick away moisture, the Comfort Loft Cover with MoistureProtect ensures that you have a comfortably cool sleeping experience. Premium polyurethane foams provide the bulk of the comfort, and each foam is CertiPUR-US Certified. The Sealy Air Foam incorporated into this mattress is engineered to promote airflow, and it also provides some initial body contouring. A layer of SealyCushion Extra Soft Foam soothes pressure points, while the SealyCool Gel Memory Foam layer ensures there is ample support to the lower back. Another layer of SealyCushion Extra Soft Foam is added to guarantee deep down pressure relief. Boasting a coil density of over 200 more coils than last year’s version, the Sealy Response Pro Encased Coil System supplies support while contouring to the curves of the body. Last but not least, this model includes one of the best edge systems available, the DuraFlex Edge. To conclude, if you want a soft level of comfort with some support, this is one of the best options available on our site. The attention to detail Sealy has put into this product is incredible and leaves nothing to be desired at this price point. Featuring several significant improvements from the second generation model, the Beautyrest Silver Lydia Manor III Plush is part of the third generation of the Lydia Manor collection and is one of the softest models available from the Beautyrest collection. Scoring an 8 on our Comfort Scale, it is ideal for back sleepers who want an enveloping yet supportive feel and side sleepers who want exceptional pressure relief. Quality features begin right at the top with the implementation of DualCool Technology Fiber. This is a super soft fiber enhanced with silver. The incorporation of silver moves heat away from the body and even prevents mold, mildew, and odor-causing bacteria for a fresher sleeping environment. 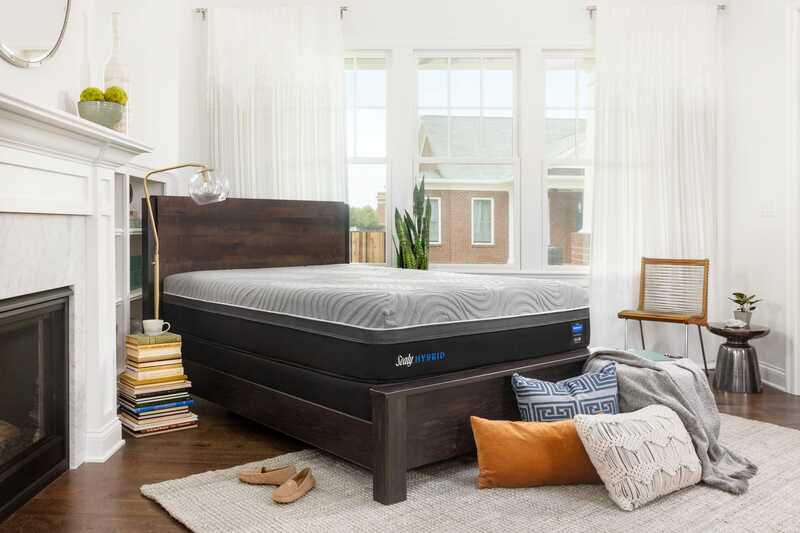 The comfort layers include AirFeel Foam, an open cell foam that is brilliantly designed to move more air throughout the mattress, and a layer of GelTouch Foam, which creates contouring, conformability, and comfort. Working together, these foams help soothe pressure points to prevent tossing and turning. Another upgrade is the BackCare Support Coil System. 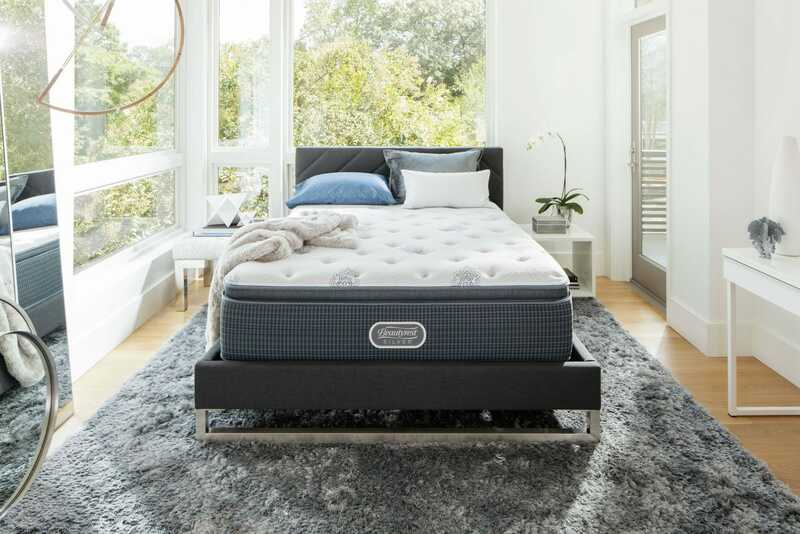 It utilizes hundreds of micro coils to reinforce the center third of the mattress, helping it to resist sagging and providing additional lower back support. A full sheet of AirCool Gel Memory Foam isolates motion transfer, further enhances pressure relief, and encourages deep REM sleep. Constructed from high carbon steel, the Beautyrest Pocketed Coil System provides essential support to the back. A foam-encased, ventilated edge support system ensures that comfort stays consistent from edge to edge. To sum up, the Simmons Beautyrest Silver Lydia Manor III Plush is an exceptional mattress equipped with a ton of useful features. The coil count, comfort layers, quilt, and edge support have all been improved upon to make an already great mattress even more amazing. Typically products either get better or cheaper each year, but in the case of the Simmons Beautyrest Silver Kenosha Place III Plush Pillow Top it is better and still affordable. With a score of 7.5 on our Comfort Scale, this model is ideal for back sleepers who want soft yet supportive comfort and for side sleepers who need pressure relief. This mattress gets its name from the DualCool Technology Fiber found in its quilt. This incredibly soft material is enhanced using silver, which not only moves heat away from the body, but also prevents mildew, mold, and odor-causing bacteria to provide you with a fresh place to sleep. A layer of AirFeel Foam supplies initial softness and uses an open cell design to deliver high airflow. A layer of AirCool Foam is also incorporated to provide pressure relief and enhance airflow through its channeled surface design. A whopping 2.5 inches of GelTouch Foam ensures superb surface contouring to prevent unrest and promote deeper REM sleep. Back support is supplied by two components working in sync with one another: the newly added AirCool Gel Memory Foam found in the center third and the Beautyrest Pocketed Coil System. This coil system has a reputation for being among the most forgiving coil systems out there today, and it offers conforming yet solid support. The edge support system is ventilated and foam-encased to ensure consistency in comfort. All in all, the Simmons Beautyrest Silver Kenosha Place III Plush Pillow Top is a fantastic example of a company taking an already good product and making it great. At this price point, this mattress offers an outstanding value. The Lux Estate Gabriella Marie Luxury Firm contains some of the highest-quality luxury materials available from Stearns & Foster. Scoring a Comfort Scale rating of 3, the Gabriella Marie is designed to provide some initial softness and an overall firm feeling of comfort. This firm yet forgiving mattress features a quilt made using cashmere, silk, and wool. Tencel fibers are also included to help regulate the temperature of the sleeping surface. Key comfort padding layers include PrimaSense Gel Foams that arrive pre-compressed to ensure consistent comfort and durability. Another key feature is Advanced Adapt Foam. This foam, designed by Tempur-Pedic scientists, provides great pressure relief to minimize tossing and turning. The center third of the mattress utilizes PrimaCore Gel Foam to bolster lower back support, while primary support to the back is provided by the Intellicoil Advanced System, Stearns & Foster's top-of-the-line coil system that features a dual-stage design with an outer coil that conforms to your body and an inner coil that provides solid support. Since it is an individually-wrapped system, it helps drastically reduce transfer of motion. Stearns & Foster has one of the best edge support systems on the market, known as the Precision Edge System. Thanks to this edge system, you can sleep right up to the edge of the mattress without noticing much difference in comfort or support. 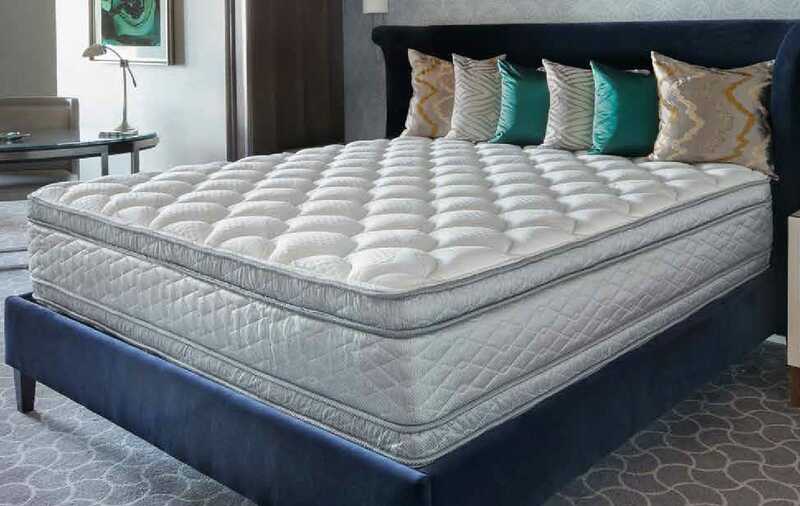 Overall, if you're looking for a high-end luxury mattress that has a very solid coil system and plenty of quality comfort materials, then the Stearns & Foster Lux Estate Gabriella Marie Luxury Firm makes a great choice. The Serta Perfect Sleeper Hotel Sapphire Suite II Euro Top Double Sided Mattress is the same style of mattress featured in 5 star hotels around the US. With a 2 sided design, along with a contouring yet supportive comfort scale rating of 6, the Sapphire Suite Euro Top is one of the best overall Serta mattresses available today. The 2 sided design used on the Sapphire Suite is a great feature, designed to provide excellent long term comfort and comfort consistency. Overtime, mattresses begin to contour to your body, and develop impressions where you sleep. Hotels love 2 sided mattresses because should this occur, they can simply flip them, and have a fresh look and feel on the other side. Both sides of the quilt feature an antimicrobial fiber to help keep the mattress fresh. Key comfort layers include a 2” layer on both sides, of Cool Twist Gel Foam. This is an upgrade to the previous Sapphire Suite model and is designed to provide better pressure relief to help reduce tossing and turning, as well as a more supportive feel. The 800 Continuous Coil Support System with Posturized Center 3rd feels both supportive, and solid. The reinforced center 3rd is a nice upgrade to this model, because it provides targeted support and durability where you need it most. Feel free to sleep all the way to the edge, without noticing a big difference in comfort or support, thanks to the Total Edge Foam Encasement. This feature is especially nice if you share a queen size, because you won’t feel like you’re fighting over the middle, due to poor comfort on the edge. Overall, if you’re looking for an outstanding hotel mattress with a two sided design, I highly recommened the Serta Perfect Sleeper Hotel Sapphire Suite II Euro Top Double Sided Mattress. This mattress is designed to provide versatile comfort, solid support, and long lasting durability. The Sealy Posturepedic Hybrid Performance Kelburn II mattress is a great way to go if you like a medium, not too soft, not too firm, level of comfort. The Kelburn combines a modern look with outstanding comfort materials and an upgraded coil system to provide an excellent overall value. Witha comfort scale rating of 5.5, this mattress provides great body contouring and firm underlying support, and is good for most body types and sleeping positions. The modern look of the Kelburn II really pops, compared to the previous line of Posturepedic Hybrid models. The black fabric features an UltraStretch Mid-Loft Cover with Moisture Wicking Technology. This smooth top quilt design provides consistent comfort and helps wick away moisture for a more comfortable sleep surface. Comfort materials are all CertiPUR-US Certified to meet or exceed the highest quality standards in bedding, with the key comfort layer being Sealy IMmersion Advanced Memory Foam with Chill. This newly developed comfort layer provides outstanding pressure relief to help reduce tossing and turning, while working to minimize motion transfer for undisturbed sleep. The ""chill"" treatment means the foam has a phase change material that pulls heat away from the surface, for a cooler nights sleep. This feature is quite functional and is hard to describe accurately. It feels nice and cool, and can be felt even through jeans. A layer of SealyCushion Extra Soft Foam provides foundational body contouring and deep down pressure relief. Back support is provided through the Sealy Response Pro Zoned HD Encased Coil system, which uses individually wrapped coils that contour well to the curves of your body, while providing solid support. The Zoned design provides targeted support to the center 3rd of your body, for extra support and durability where you need it most. 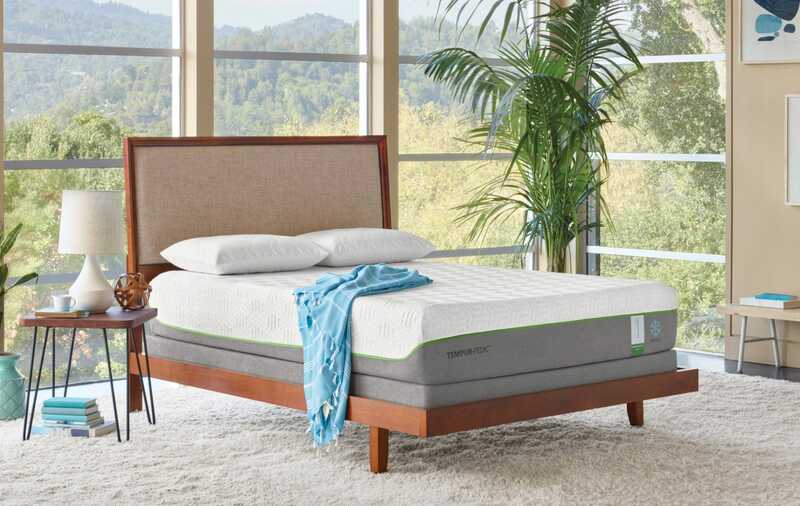 The top of the line Duraflex Edge allows you to sleep edge to edge, without noticing a differenc in comfort or support--especially nice for couples who share a queen size. Overall, the Sealy Posturepedic Hybrid Performance Kelburn II is one of the best choices in the hybrid collection of Sealy mattresses this year. The value, look, feel, and added temperature management included combine to provide a great sleep system. This mattress comes backed by a 10 year warranty and is adjustable base friendly.